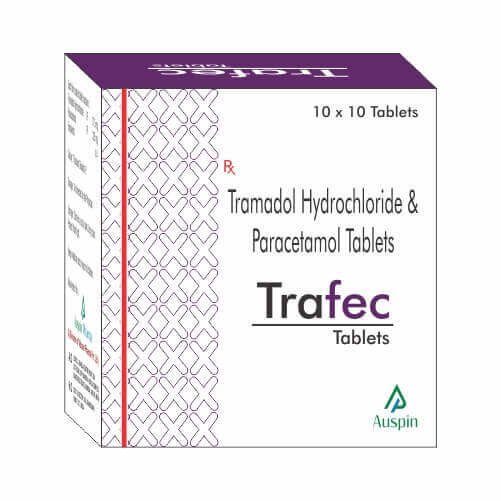 TRAMADOL A narcotic analgesic proposed for moderate to severe pain. It may be habituating. 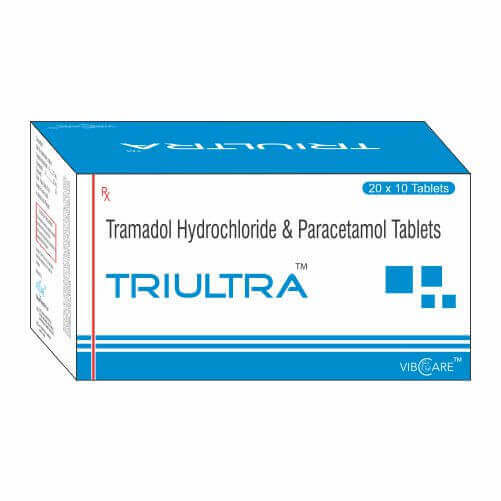 Tramadol is also prepared as a variable release capsules, marketed under the brand name ConZip. For example, a 150 mg capsule will contain 37.5 mg of the immediate release form and 112.5 mg of the extended release form. PARACETAMOL Acetaminophen, also known as paracetamol, is commonly used for its analgesic and antipyretic effects. Its therapeutic effects are similar to salicylates, but it lacks anti-inflammatory, antiplatelet, and gastric ulcerative effects. PARACETAMOL Acetaminophen is metabolized primarily in the liver, where most of it is converted to inactive compounds by conjugation with glucuronic acid and, to a lesser extent, sulfuric acid. Conjugates are then excreted by the kidneys. Only a small portion is excreted in unchanged in urine or oxidized via the hepatic cytochrome P450 enzyme system (CYP2E1). Metabolism via CYP2E1 produces a toxic metabolite, N-acetyl-p-benzoquinoneimine (NAPQI). The toxic effects of acetaminophen are due to NAPQI, not acetaminophen itself nor any of the major metabolites. At therapeutic doses, NAPQI reacts with the sulfhydryl group of glutathione to produce a non-toxic conjugate that is excreted by the kidneys. High doses of acetaminophen may cause glutathione depletion, accumulation of NAPQI and hepatic necrosis. The maximum daily dose of acetaminophen is 4 g. Liver failure has been observed at doses as low as 6 g per day. As such, the maximum daily and single dose of acetaminophen is currently being reviewed in some countries. N-acetyl-cysteine, a precursor of glutathione, may be administered in the event of acetaminophen toxicity. TRAMADOL Indicated in the treatment of moderate to severe pain. Consider for those prone to constipation or respiratory depression. Tramadol is used to treat postoperative, dental, cancer, and acute musculosketetal pain and as an adjuvant to NSAID therapy in patients with osteoarthritis. PARACETAMOL For temporary relief of fever, minor aches, and pains.